Following a WiFi-Alliance certification, the Samsung Galaxy Tab S3 should receive an OTA update to Android 8.0 Oreo soon. It will be one of the first tablets to get an update. 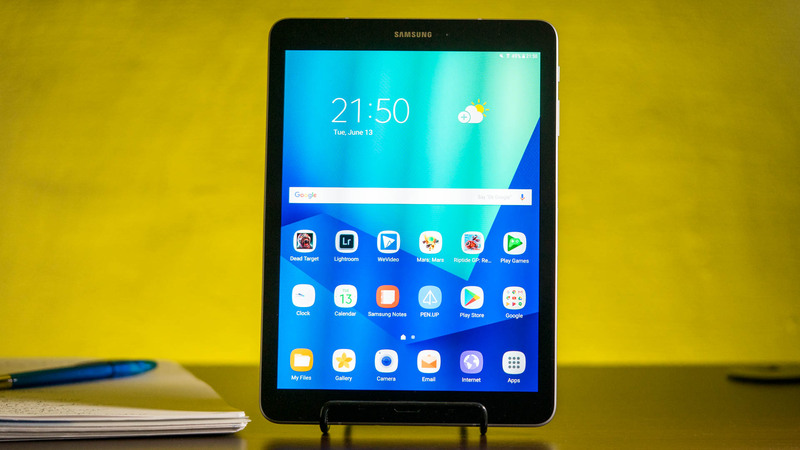 Samsung might release an Android 8.0 Oreo update for the Samsung Galaxy Tab S3 soon. Following a couple of earlier rumors, the WiFi-Alliance certified the tablet running Android 8.0 on March 17th. That certainly means that Samsung is working on an update. And that new firmware should be ready soon and might be in its final testing stage already. I’m sure that other recent tablets from the Korean company will get similar updates this year. That likely includes the Samsung Galaxy Tab A 2017. And maybe the Galaxy Tab S2. Originally, the Galaxy Tab S3 got released with Android 7.0 Nougat about a year ago. According to pretty much all reviews and my own benchmarks, it was the fastest Android tablet available for a while. However, by now, the new Huawei MediaPad M5 series is a bit faster. In most countries, the Galaxy Tab S3 with S-Pen and MediaPad M5 Pro with M-Pen are priced similarly. But even though the Huawei tablet is a bit faster in benchmarks, the Samsung one might still be interesting for a lot of people. In the past, Samsung has been much better with updates than Huawei. The first Galaxy Tab S got three major software updates and the Galaxy Tab S2 got two major updates until now. It might get Oreo as well. Because of that history, Samsung could release Android P and maybe even Android Q for the Galaxy Tab S3. Huawei usually does not offer more than one major update – if at all. Well, it’s certainly nice to see that the Samsung Galaxy Tab S3 is getting a bit cheaper. I only had one major complaint in my review: It was pretty expensive at around 629 Euros or 549 US Dollars. But by now, prices have dropped at least 100 Dollars in most countries. The Samsung Galaxy Tab S3 is one of the best Android tablets. It offers great performance, a very pretty display, and a good battery life. At the same time, it has all important features including a fingerprint reader and S-Pen stylus.